Oh, duh, I just realized you probably mean you can’t get the screw out… At any rate, unfortunately, the heater block is still a consumable and your situation is probably not covered under warranty; I’ll be keeping an eye on this thread though, in case a solution arises. In the mean time, you might try putting a bit of superglue on the end of an allen wrench and gluing it in to the screw. You might be able to get the screw out that way, at the cost of the allen wrench (so don’t use the Snapmaker allen wrench) but at least you’ll have gotten your heating element out and will be able to stick it into a new heater block. I recently had to swap a nozzle/heater block and thought the set screw had jammed or was stripped I was wrong. Rainie wrote an instruction on removing the set screw by running the Change Filament and heating the nozzle up again and being careful, try and remove the set screw after it has reached operating temperature. This may also work. Come to think of it, I’ve only ever done these operations hot (with pliers and tweezers, of course), which might explain why I haven’t had this issue. Regarding achieving 0.04 or 0.065, I’ve thought about loosening/tightening the platform screws as fine adjustments but I’m very cautious to do that as I did have one back out on me after a few prints because I didn’t tighten them enough during initial assembly (I assumed the rubber grommets were intended to provide some “give” and shouldn’t be smashed down). I would not suggest loosening those platform screws. I keep them tight. BTW, once I calibrate my bed, I hardly have to recalibrate. assemble/disassemble axis attachments to the base/each other. So far the Snapmaker has kept my calibration spot on for these past few weeks. Indeed, calibration seems rock solid. 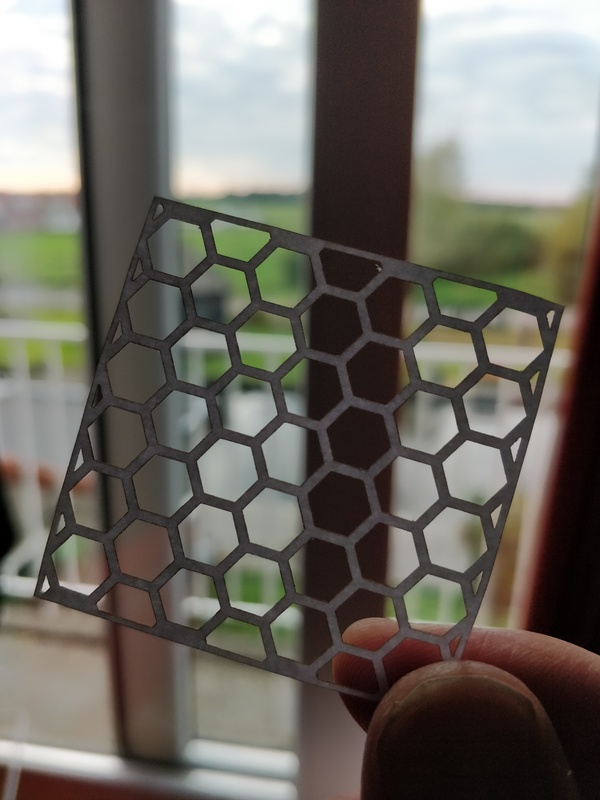 I added packing tape to my bed last night to get a glass-smooth finish on one side of a print (worked well BTW) and needed to calibrate for that, and again when i removed the tape after the print; aside from that, just when I change modules. The trouble is, sometimes calibration takes a few tries (with a failed print in between each). With @doug’s measurements, that process just became a lot more reliable… I hope. I just realized why calibration is such an ordeal for me. During calibration, I noticed the Z-axis falling as mentioned in this thread: Z-Axis falling down? Of course, once the Z-axis falls (a fraction of a mm in this case) the Snapmaker no longer knows where it actually is and any calibration I do from that point becomes invalid. When this happens, I have to exit and re-enter the calibration screen, starting the process over. @Rainie it seems that Snapmaker can lock an axis in position and that, maybe, it releases that lock after a set time? If this is the case, perhaps the Z-axis should remain locked in place during calibration? Yep, the screw holding the heating element to the block is completely and utterly stripped. I may try the crazy glue route later to try and recover the block and nozzle, but I’ll need a new screw for after. I ended up cutting the element wires and removing the whole thing, block, nozzle and heating element and removing the plug. 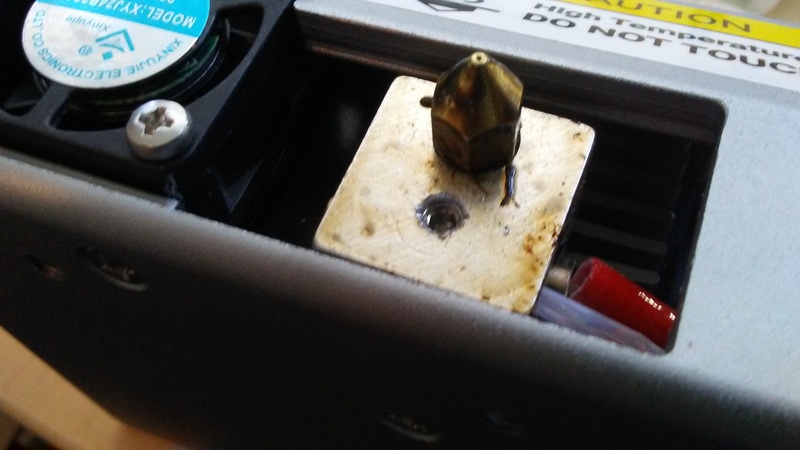 I tried to re-use the crimp plug by soldering the new HE into it, but apparently didn’t do a good job of re-establishing a connection, as the Snapmaker would not heat up the HE. I’m going to need to find a stock of plugs and a crimp tool before trying again. Wow, looks like you’ve had that thing in and out of there a number of times! Best of luck salvaging it! I made one attempt, with the right sized allen wrench before taking this picture. It looks a lot worse now. Hi, before I print the ABS or other need higher temperature material need wait very long time, this is a normal behavior or not? The nozzle should heat up pretty quickly. It’s the bed heating that takes a long time because of the surface area involved. Hi, in this case even I disable the heat bed that still take very long time. When doing my first print I saw that it was not sticking properly to the build platform so I pressed stop, cleaned up and calibrated once more. Then I loaded the file once more to start the print again and it started to heat up. I saw the nozzle heating up to 270 before dropping back and the build plate took it’s time to get to 50. But the issue is that the print is not starting. It’s just heating and keeping itself warm but it does not start. What’s wrong? I’ve upgraded firmware before I even started, I’ve checked all the cables, and I even tried it printing using USB via snapmaker3d. After that I’ve tried the latest snapmaker.js to generate gcode but that did not help either. Help me, I’m at a loss here and been at it all day. Didn’t you read the manual on page 29? The target temperature for ABS is maximum 240° and for PLA that would be much too much. Either the temperature controller broke after the first use or there is charred filament in the nozzle. However, there are other sources of error as well. I’ve changed filament (took it out and put it back in) and the filament was oozing like it should. I’ve checked for cloggs in the 3d printing head but that all looked fine. Fans work, XYZ work, screen works. Having issues with 3d printing since the first time I tried. I’ve posted earlier on this but did not have the time to follow up. 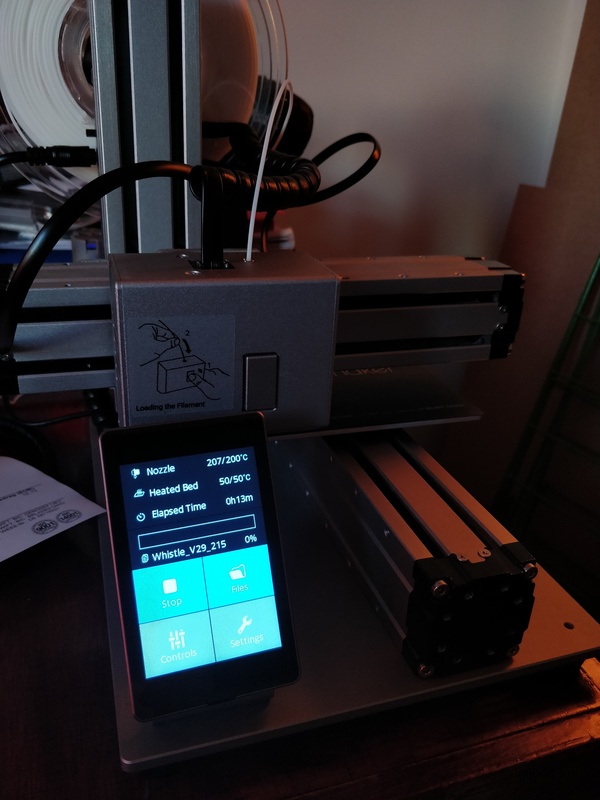 I’m still ambitious about doing my first print: a whistle Since the temperature felt strange I have replace the thermistor but that did not help. So it heats up, nozzle at or above the 200 degrees (as set) and the bed temp is 50/50. Seems that it should start printing but it does not do anything but stay heated and idle.